Every January the staff at Lyrically Addicted sits down and tries to hash out the top albums from the previous year. We spend house analyzing and dissecting our favorite albums trying to put them in some kind of order that we can be happy with. But what often gets overlooked in such a process is the individual songs themselves. Maybe we fall in love with a b-side that doesn’t make it onto the album proper, or we stumble upon a live version that’s better than the original. The point is these individual tracks often get overlooked in favor of the albums themselves and we don’t think that’s fair. This year we decided to shine a light on some of these lesser known tracks. We just couldn’t wait for Frank Turner’s newest release, The Third Three Years, so we put together a little playlist of our own featuring some of our favorite performances, collaborations, and covers he’s done in the last three years. The official Third Three Years will be released on November 24th, through Xtra Mile Recordings. They’ve got some pretty cool pre-order bundles, including art prints, photo books, exclusive tees, CDs, so be sure to check them out before they’re gone! Many music fans have a hard time picturing their favorite musicians as music fans themselves. We tend to put these artists on a pedestal and imagine them as rock stars who are above the sort of idol worship that we often demonstrate. However, contrary to that belief, these musicians are no different than us; they love the art of music and grew up admiring a wide ranger of musicians who often became the foundation which helped inspire them to create their music. That feeling doesn’t just go away once a musician becomes popular or well-known. It’s this beautiful cycle that allows the music we connect with so deeply to be created, to continue to influence future musicians who create music that influences a whole new generation, and it’s a wonderful thing to watch. Frank Turner is a musicians who completely shatters the false belief of musicians as being above the fans. Frank conducts himself in a very honest and open manner with his audience; he is just a guy who makes music for a living, one who builds a strong connection with his fans through his lyrics and approachable personality. Frank is also not one to shy away from the music that inspired him. At shows, he can often be heard covering anyone from Blink-182 to Bruce Springsteen (his “Thunder Road” cover is a staple at his New York City shows). Frank has also made it known that he is a huge fan of 90’s emo group Mineral, whom he described as one of his very “favourite, foundational bands”. When Mineral announced their reunion tour earlier this year, Frank did what any fan would do when presented with a rare opportunity to see such an influential, once-dead band: he bought tickets to their New York City performances and planned a trip without a moment’s hesitation. I was instantly fascinated by his own connection to the band and found it refreshing to see one of my favorite musicians speak so highly of one of his and demonstrate such unbridled passion for their work. On top of flying out to New York City to catch some of their shows (their first full tour in 17 years), Frank also opened for the first of show. We reached out to Frank Turner via email to ask him about his experience opening up for Mineral last Thursday at St. Vitus Bar in Brooklyn. Frank was kind enough to answer our questions and provide some insight into his experience, some of his other big influences, and which band he would love to see live if given the opportunity. You can check out a full review of the show on Noisey’s blog, as well as Frank’s first-hand experience of the show. Lyrically Addicted: Thank you for talking the time to speak with us Frank. You called Mineral’s sophomore (and final) album EndSerenading “near-perfect” on Noisey’s blog. Was there any one particular song on that album (or by the band in general) that made you go “wow” on first listen or that really made you connect so strongly with their work? Frank Turner: Yes, the song “&Serenading”. I remember being a little confused by the record at first (I was about 16), but when that song kicked in, with the chorus line about symphonies in seashells, I was pretty blown away. Once the ice cracked like that, I fell for the rest of the record very quickly. LA: You had the unique opportunity of opening for a band that meant so much to you on their reunion tour. Can you briefly describe what the experience was like and why you decided to play a set of new songs. Frank: It was a great experience, one for the obituary. I was pretty jet-lagged and had a nasty cold, so perhaps not on my best form, but I enjoyed the expeirence. I thought I’d play new stuff because I’m working on a new record right now and no one bought tickets to see me play, so it seemed like a good opportunity to try some new stuff out in a live setting. LA: Was there any particular aspect of Mineral’s music (lyrics, guitar tones, etc.) that really influenced your current sound? Frank: The whole way Chris [Simpson] sings and writes is a huge influence to me now – the way he uses his voice, both in the physical sense and int he literary sense. I still think that’s probably the biggest influence on me in that area. I also love the production on the second record, I think Mark Trombino’s drum sounds are pretty foundational. LA: Are there any other bands from the mid-90’s emo era that influenced your music? Frank: I listened to a bunch of that stuff – Jimmy Eat Wrold, The Promise Ring, Christie front Drive, and so on. Mineral were far and away my favorite of the bunch, but I still listened to a fair amount of Jimmy Eat World. LA: If you could attend a hypothetical reunion tour for one “dead” band you never had the chance to see live, who would it be? Frank: Nirvana, circa early 1993. Thank you to Frank Turner for taking the time to answer our questions. You can catch Frank Turner on the road with Koo Koo Kangaroo in the UK starting Thursday, September 11 in Norwich. 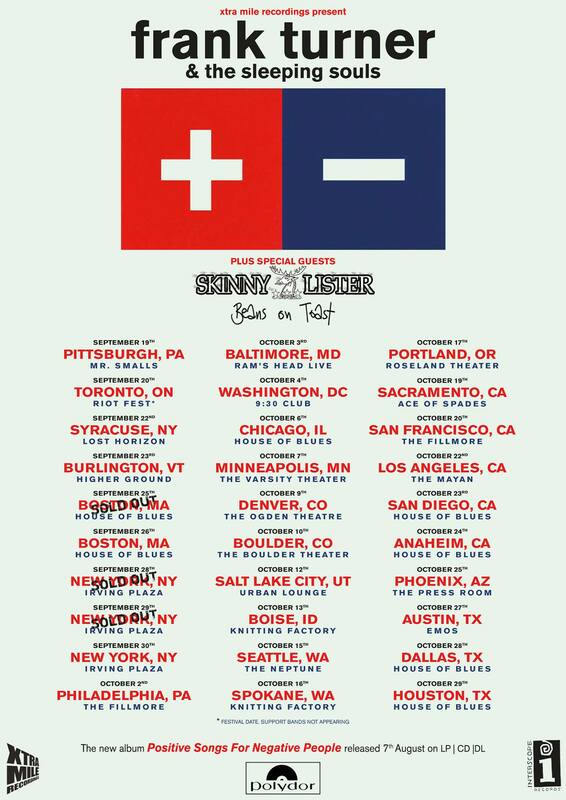 For a full list of Frank’s tour dates, go to frank-turner.com/live-gigs. 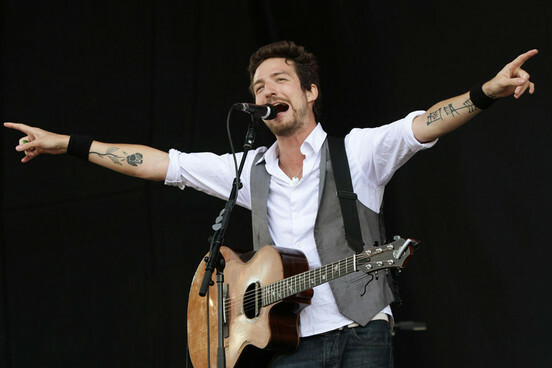 Frank Turner is expected to release his upcoming sixth studio record in early 2015. Mineral continue their reunion tour, which ends in Austin Texas in November, before hitting the United Kingdom in early 2015. You can also check out a full review of Mineral’s Bowery Ballroom show in New York City on our blog. If you live in the UK don’t forget you can catch Möngöl Hörde on tour this month with special guests Palehorse and Oxygen Thief! New Englanders have a history working hard to overcome all obstacles. We’re fiercely proud of our local heritage and our place in national history. 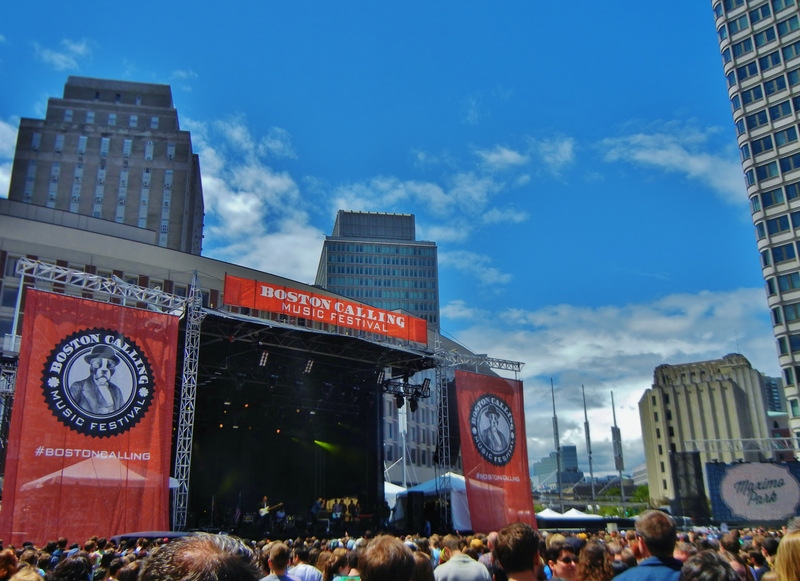 We also love a good success story, and what better example is there than the Boston Calling Music Festival? The festival is only in its second year but it has already integrated itself into the local community with ease. Crash Line Productions, the folks responsible for bring the festival to life, grew out of the ashes of the now defunct Phoenix Media Group, and they aim to breathe life into the music scene. The festival also works closely with many local companies to sponsor the event. Food and beverages were provided by Tasty Burger and Wicked Wines. Official merchandise for the festival was produced by Fenway’s own 47 Brand Entertainment. 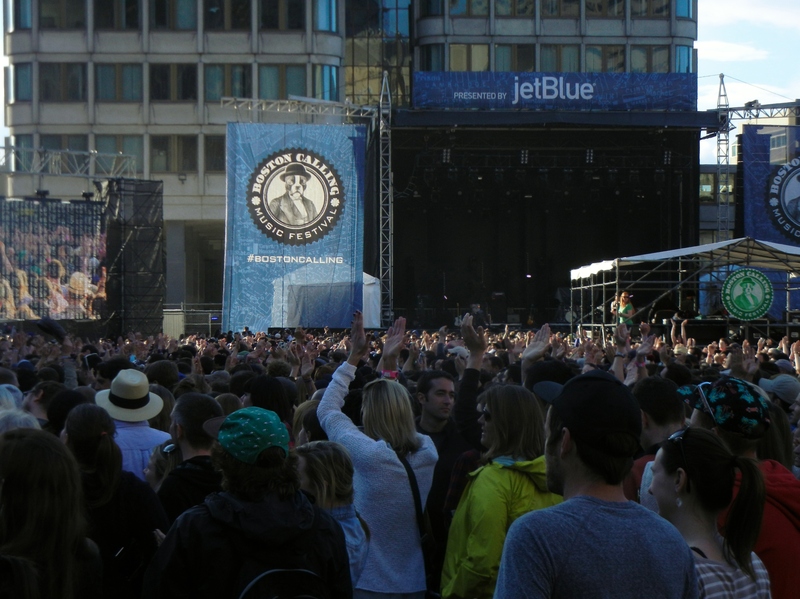 Boston Calling prides itself on being “one big party”. It’s a three day event featuring live music from artists representing a wide range of genres. The festival itself is in its infancy; May marks only the second year that the festival has been around and it was the third weekend overall. With that in mind I expected the festival to still be experiencing some growing pains, but I was pleasantly surprised by my experience when I attended the festival in May. First of all, the volunteers were absolutely fantastic. The whole setup was well organized and very efficient. Walking in you were first subjected to a wand search and bags were searched as well. After that your ticket was scanned by one person and bracelets were given out by another. Both days that I went it never took more than a couple of minutes to get through security, and re-entry had its own section and went even quicker. IDs were checked at a tent just inside the entrance, and that process took a matter of minutes as well. Not only was the process efficient but the volunteers themselves were all cheerful and pleasant. Just about every single one I encountered said hi and asked how I was. It was a pleasant surprise to encounter such cheerful people working the event. You could tell that everyone wanted to be there and was doing their best to make the festival a good experience for everyone. The stage setup was slightly different from last year from what I’ve heard, and I had no complaints with how they were set up this year. With two stages in such close proximity it meant that you were almost forced to watch every single band if you stayed the whole day. Rather than traipsing across large distances you could stake out a spot and get a good view of both stages if you so chose. Festival goers also had the option of leaving the festival and coming back throughout the weekend (with the exception of Friday), which added to the casual vibe of the festival. 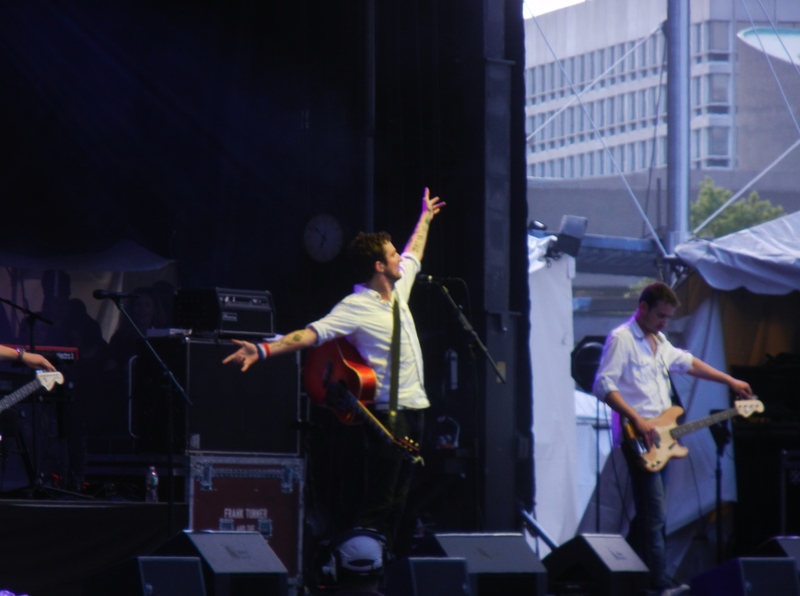 Frank Turner and the Sleeping Souls played Saturday afternoon, and were just one of the many highlights of the festival. Effortlessly drawing in the crowd of 20,000 people, it wasn’t long before the crowd was stomping and dancing around to the music. Frank’s blend of punk rock enthusiasm and upbeat melodies easily had the crowd transfixed from the first chords of “Photosynthesis” which he used to open up his set. Frank has always been known for crowd participation, and chose a fan from the crowd to come up on stage with him to play the harmonica solo in “Dan’s Song.” The young man in question, Tom, came to be something of a local celebrity after his musical debut, and was seen walking around and taking pictures with festival attendees after the set. I think it’s safe to say that this was one concert experience he’ll never forget. 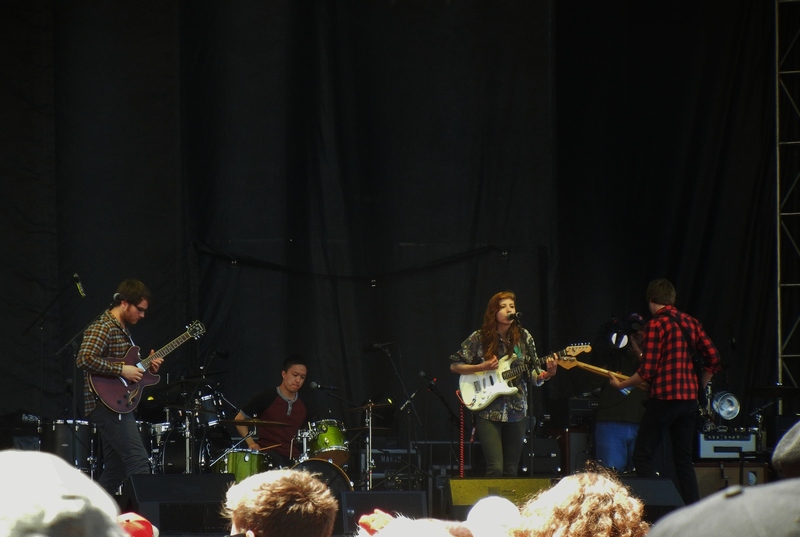 Another highlight of the festival was seeing indie rock band, The Box Tiger, start things off on Sunday. The band, an up and coming band from Toronto/Portland, ME won a contest by Sonic Bids to perform at the festival, and they put on a fantastic live set. Singer Sonia Sturino’s vocals were perfectly suited to the open air festival. The band played early on in the day but there was a solid supporting crowd there to cheer them on. Boston Calling might be a young festival, but it’s worked hard to become a reality and it’s already made a name for itself on the festival scene. 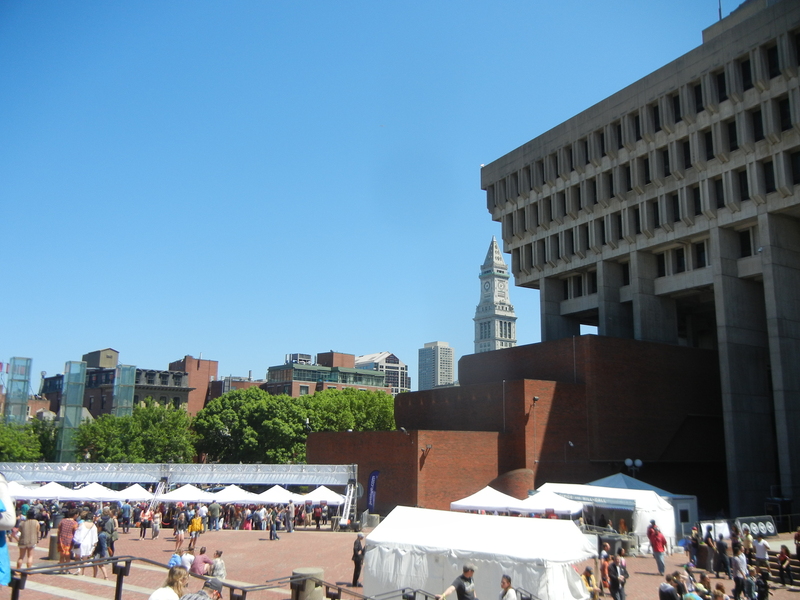 Most festivals take place somewhere where there’s a lot of open land, but there’s something striking about holding a festival in downtown Boston amidst all the concrete buildings and cobblestone paths. The ability to come and go as you please also adds to the casual vibe of the festival and makes the experience that much more relaxed and enjoyable. Though it’s true that the festival is still trying to work out some kinks, it’s fair to say that it’s already a success and we look forward to the upcoming September dates.